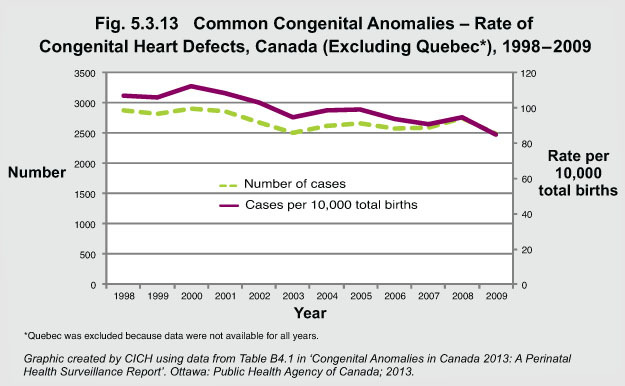 Both the number and the rate of congenital heart defects (determined up to 30 days of age) have decreased. In 1998, the rate was 107.1 per 10,000 total births. By 2009, that rate had decreased by 21% to 85.1 per 10,000 total births.